Thanks for an incredible season! Ski & Snowboard at Mount St. Louis Moonstone! 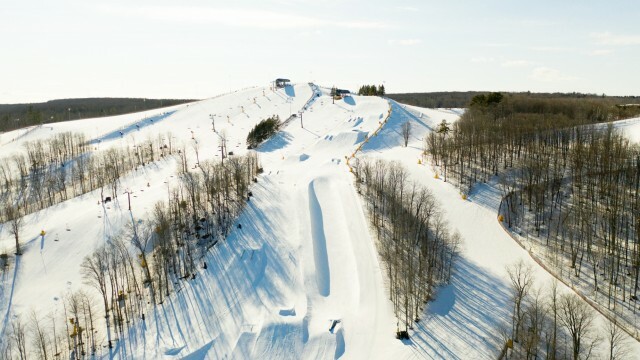 Mount St. Louis Moonstone is one of the largest family owned ski resorts in Ontario offering great ski hills for skiing and snowboarding. It was founded in 1964 by Austrian Alpine skier Josl Huter. The resort is located just north of Barrie in the snow belt region of Ontario. Today, it contains 36 slopes, 9 chairlifts and 3 carpets. The resort is known for being family friendly and prides itself on accommodating the beginner skier to the most advanced skier. 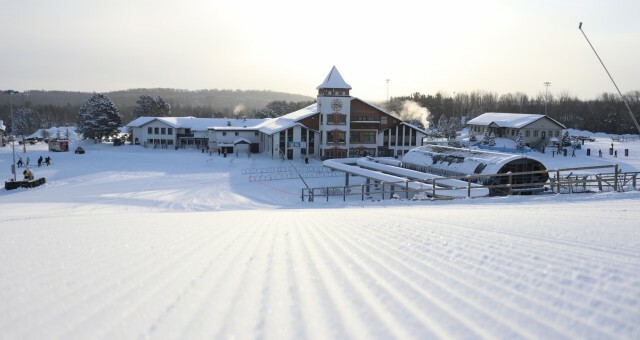 Ski & Board & Save your way into 2019/20! Friendly staff, well organized sales and rentals, plenty of space. It’s a great hill for families and kids - lots of variety but not overwhelming. Awesome day, great staff especially Liftie Erin! It's fun and close to home. The season pass is top value. Had a great day of skiing today. Every staff member we interacted with was friendly and helpful. Food in cafeteria was fast a delicious. Snow was great. I couldn’t say enough good things. Thanks for a great day! My 11 year old daughter had her first snowboard lesson. She went from frustrated to super excited to board again. Highly recommend! Love this ski hill, very friendly. I actually learned to ski here back in the early 90’s, now my daughter & I snowboards here. Very nice staff and coach. Highly recommended. The most family friendly hill we have ever visited. The lifties are always smiling and friendly and the snow is amazing! Love the care you take with all your weekday members. Today was a stellar day of great grooming - plenty of snow and fantastic liftees. I would like to thank Erin and Justin for their courteous positive attitude towards the over 65 crowd. They are great leaders. Your snowmaking crew are doing a fantastic job again this year. Everyone seems to like working there so good on you guys. Friendly staff, great snow and grooming, good food! the resort has the best conditions and parks around! Great snow quality, and always the first ones open! The place is awesome, rentals are fast in processing and what’s great is because there are multiple runs for beginners, gentle ben, sundance and saint and the food is great. I wish we’ve found this place sooner. My daughter says it’s the best place to go because they have baby hills and bigger hills for adults. She's age 6 and she is excited. Good variety, go during the week and lift lines are quick.